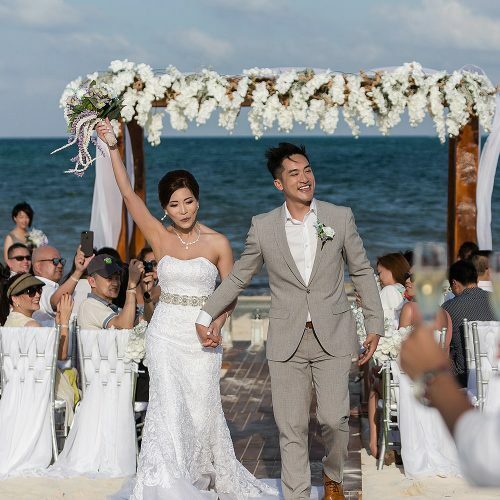 Kelly and Oswald’s beautiful wedding was held at the Moon Palace in Cancun started months earlier when Kelly and Oswald contacted me through my website to tell me they were planning a small, but beautiful wedding here in the Riviera Maya and would love it if I could photograph their wedding. 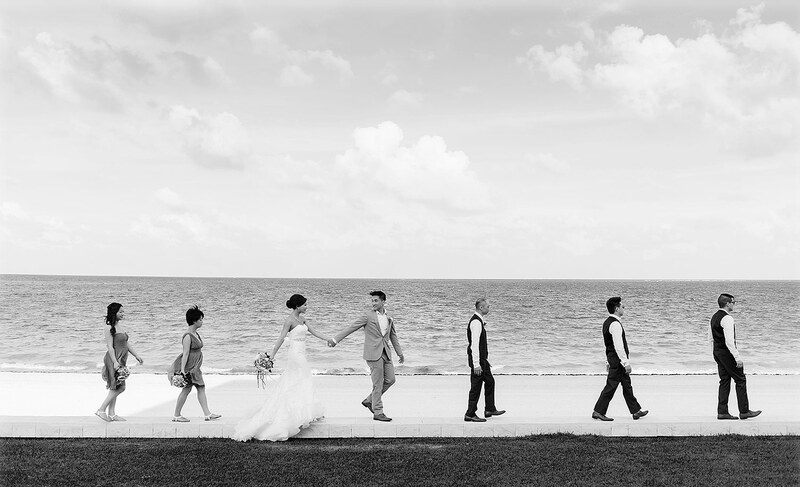 Kelly and Oswald are from Vancouver Canada (my hometown) and I knew from the moment we started talking that we were going to have a great time and get some amazing images. 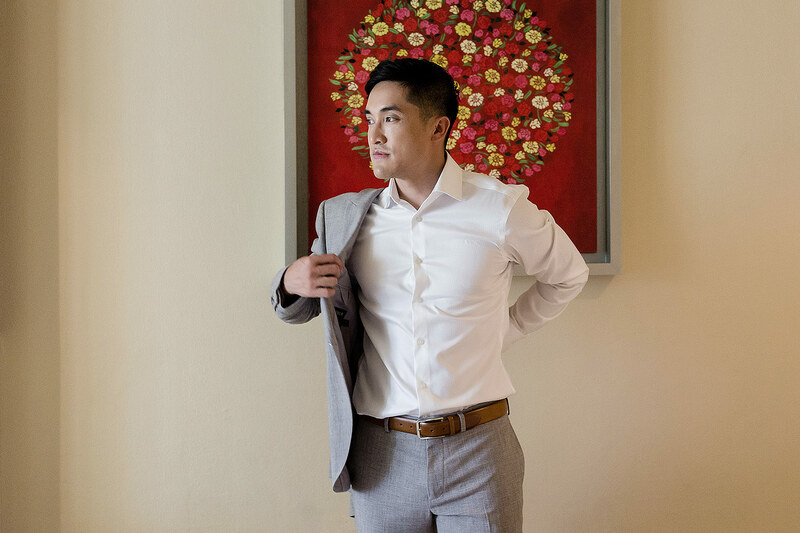 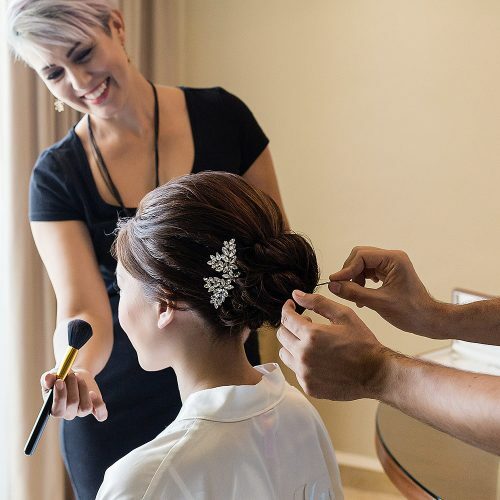 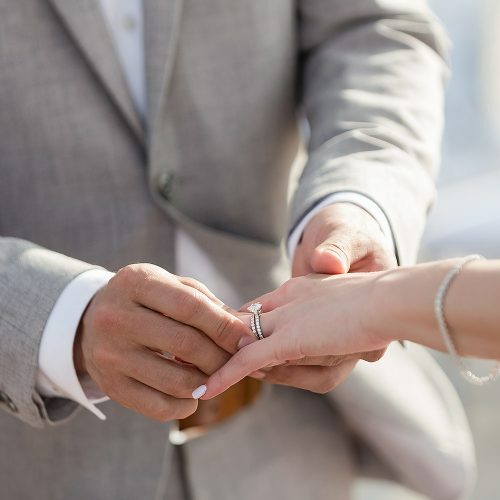 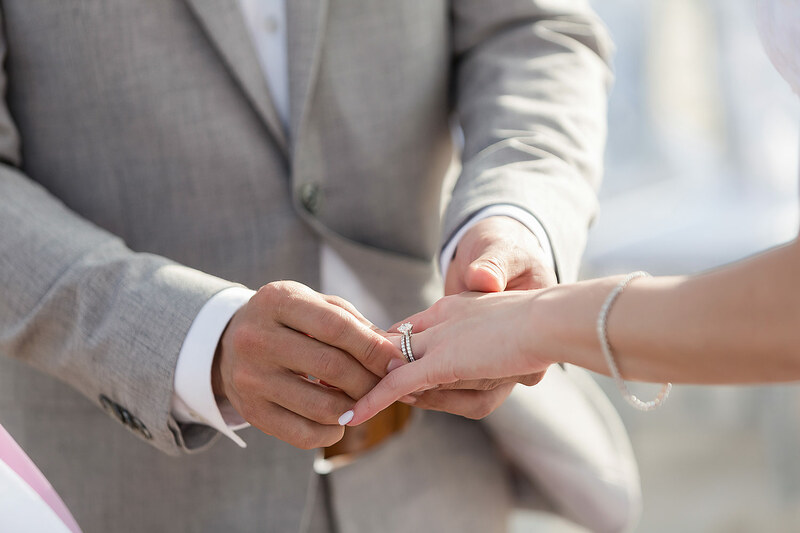 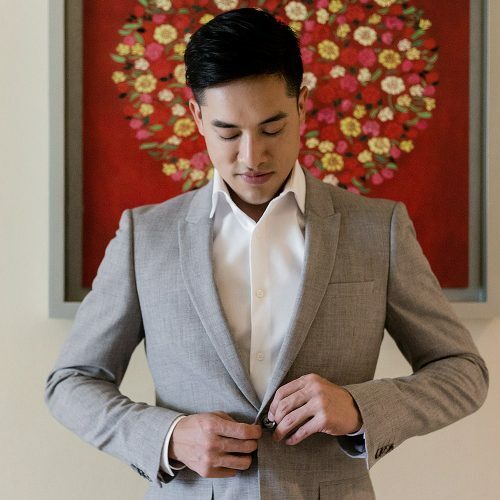 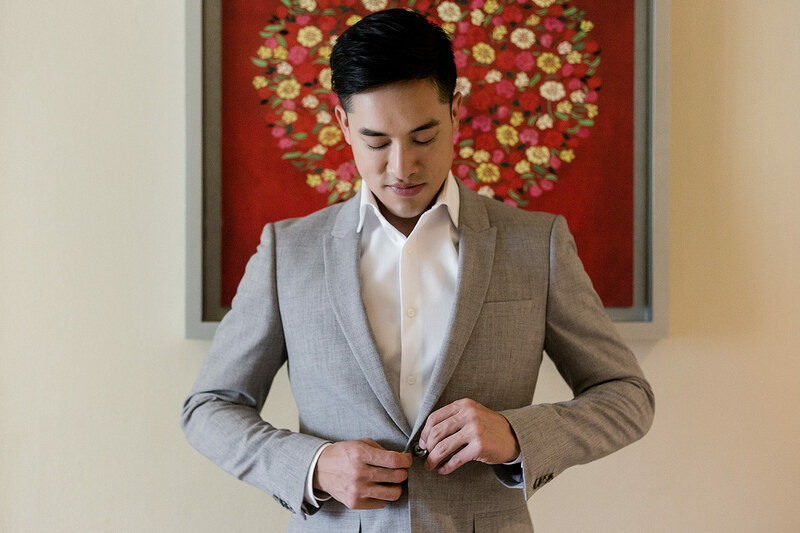 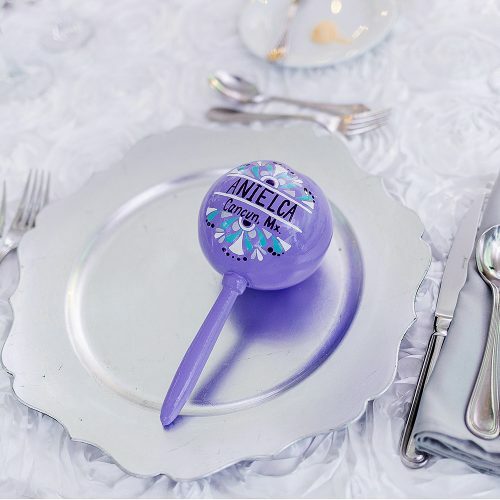 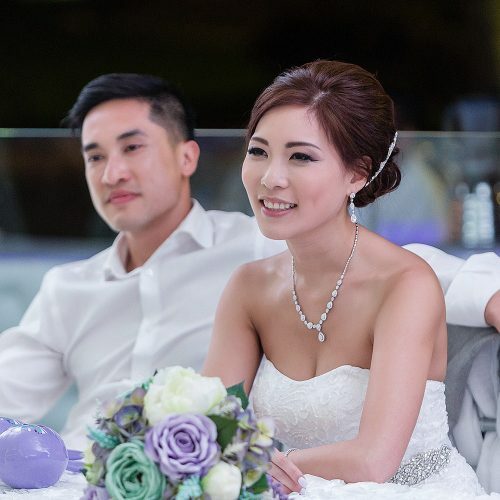 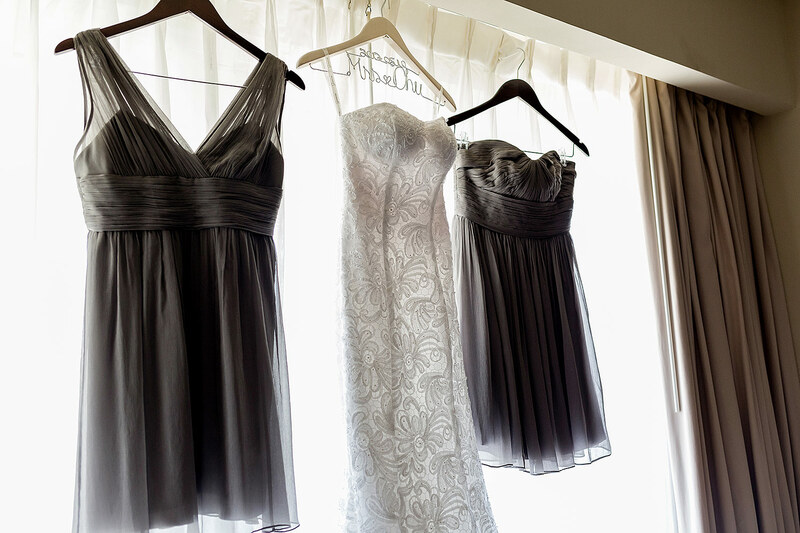 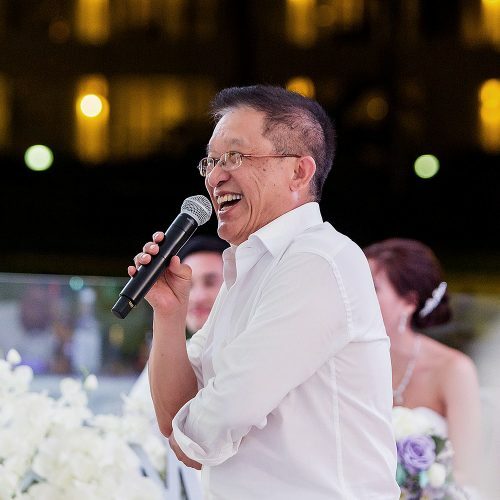 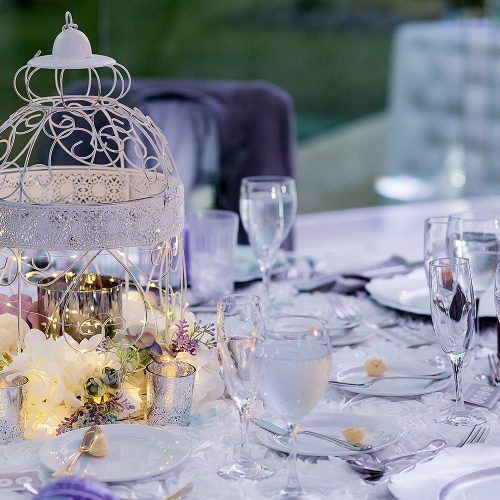 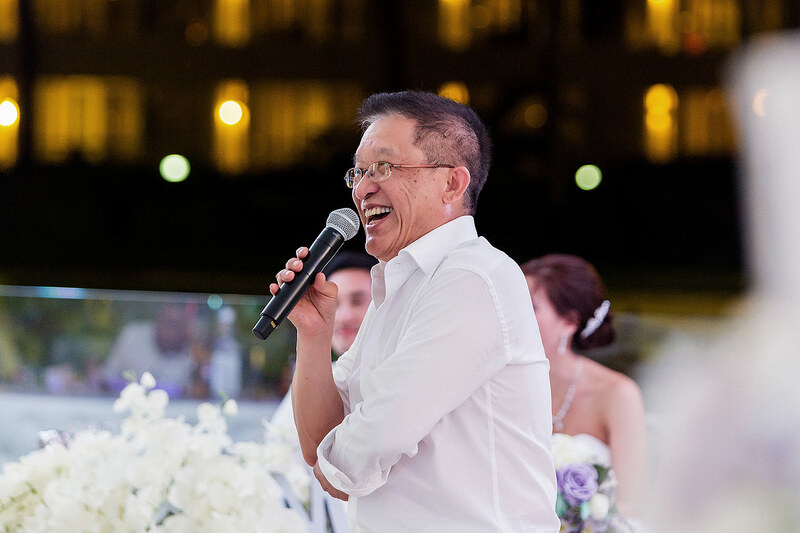 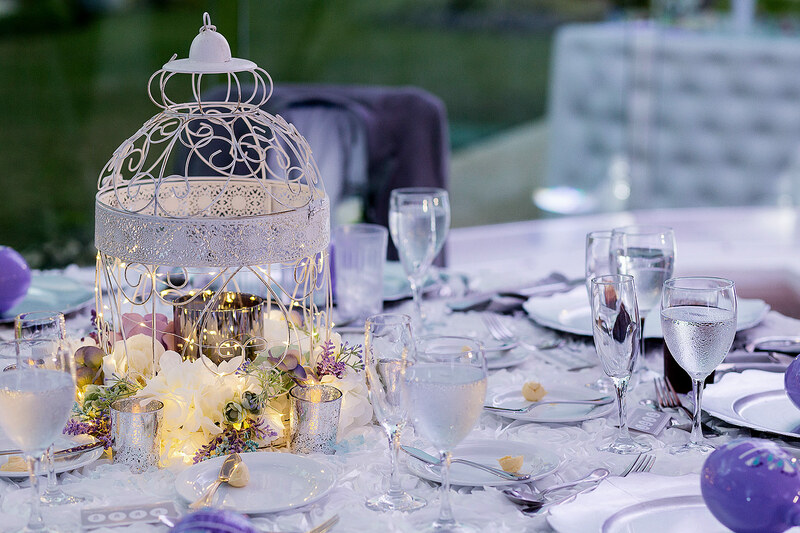 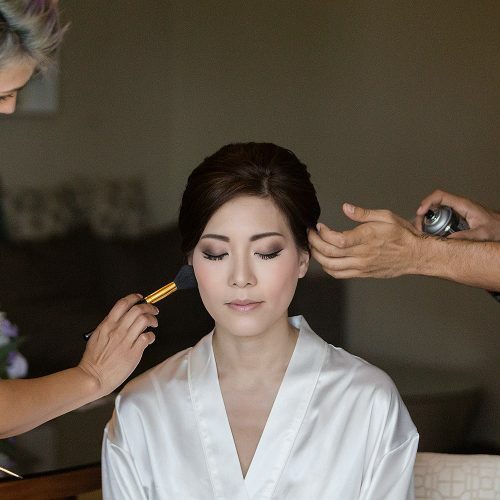 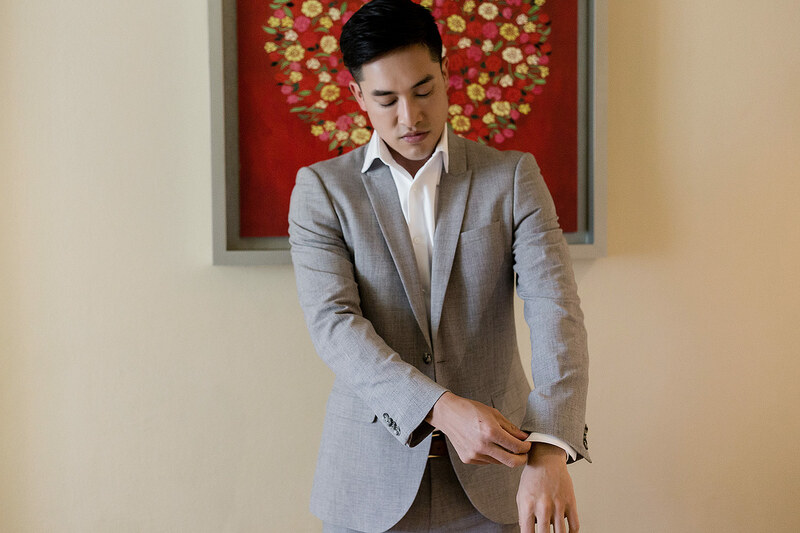 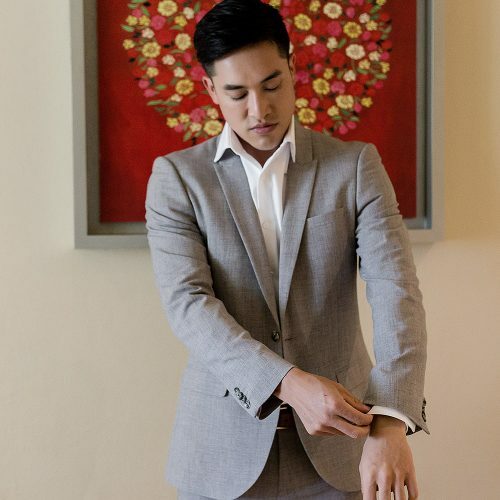 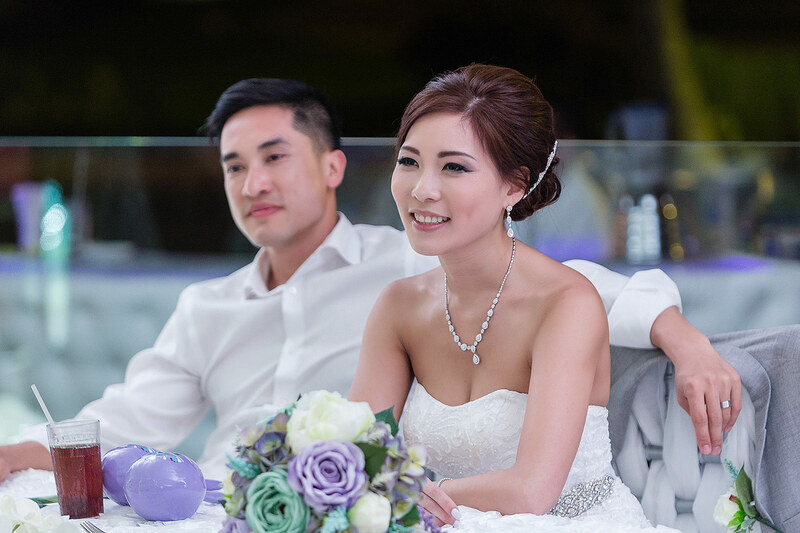 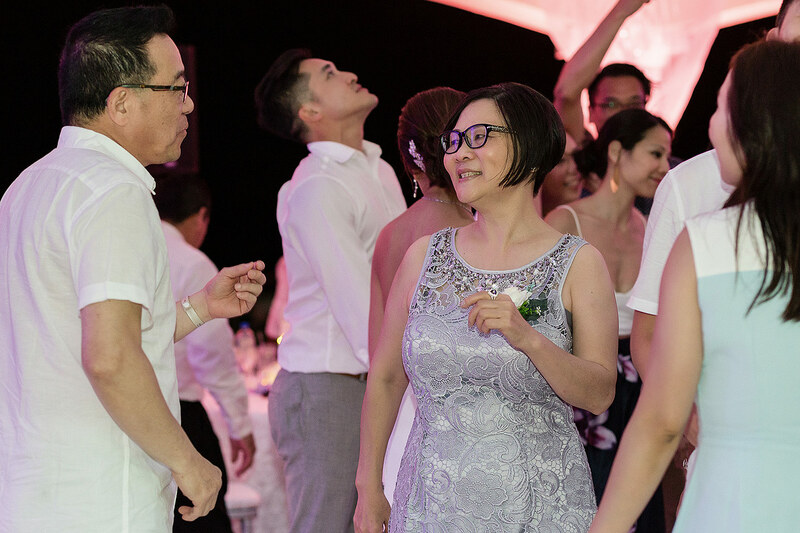 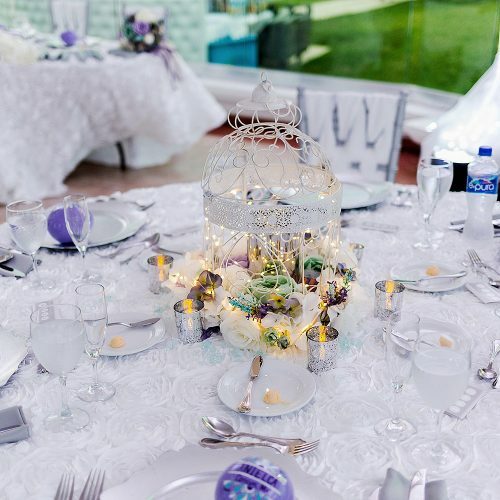 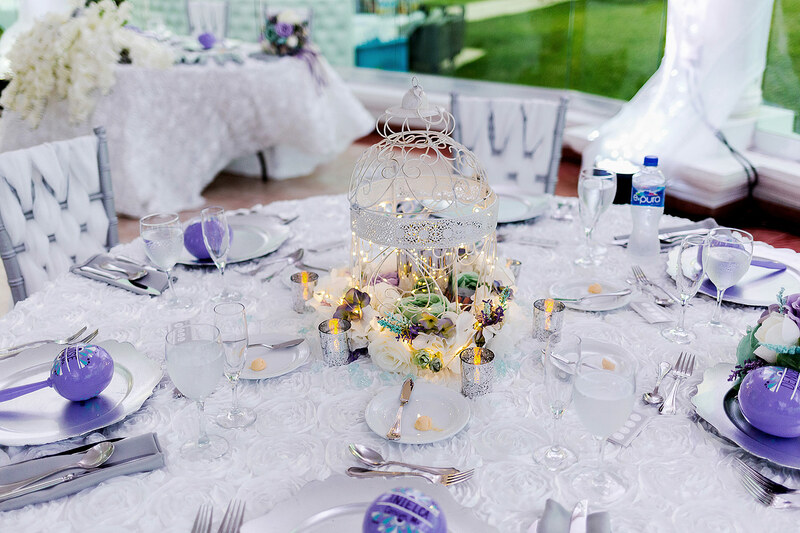 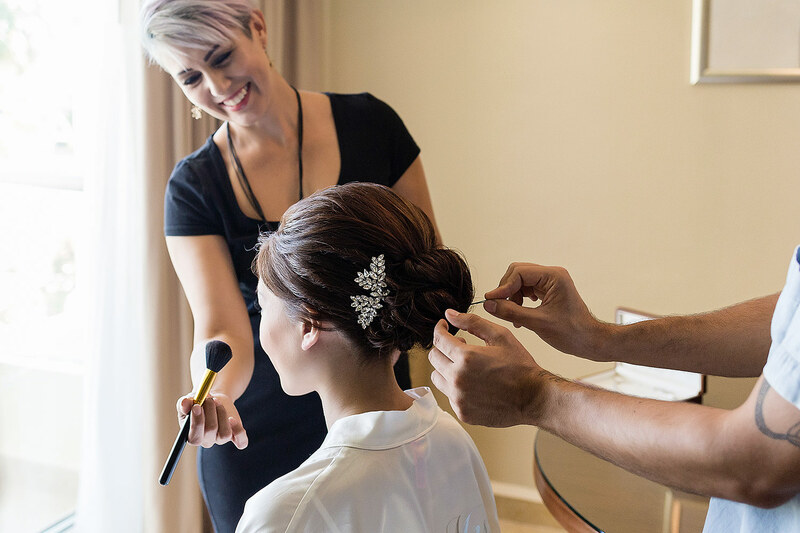 In my time in Vancouver, I would photograph 3-5 weddings that would have full Asian banquet, which if you have not been to one of these weddings, generally means about 300-500 guests and a 12 course meal that will fill you up for about three days. 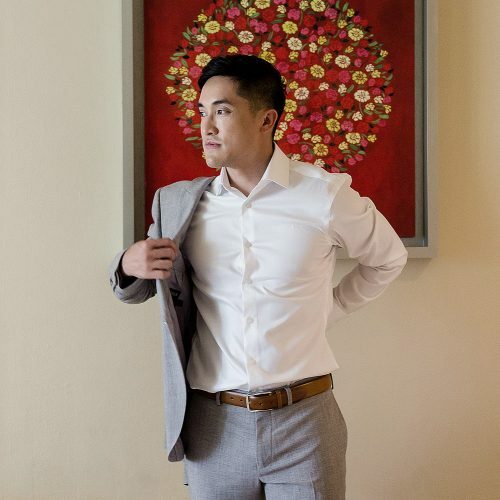 It’s really a unique experience. 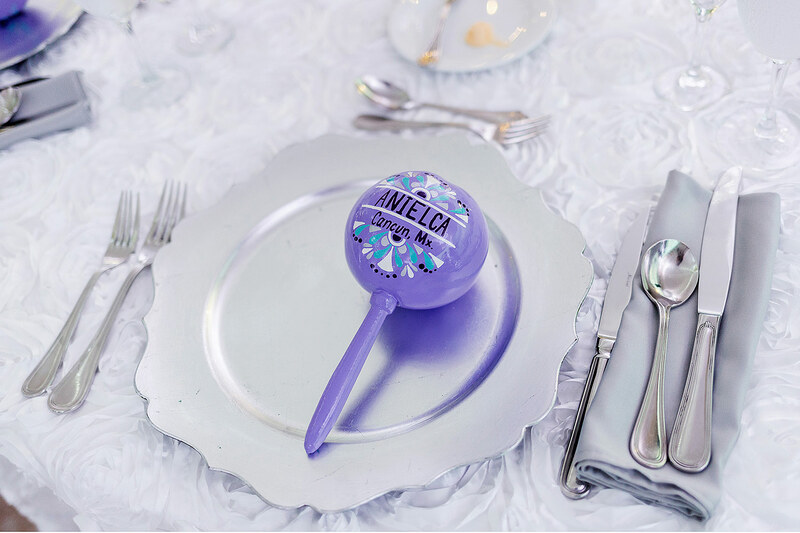 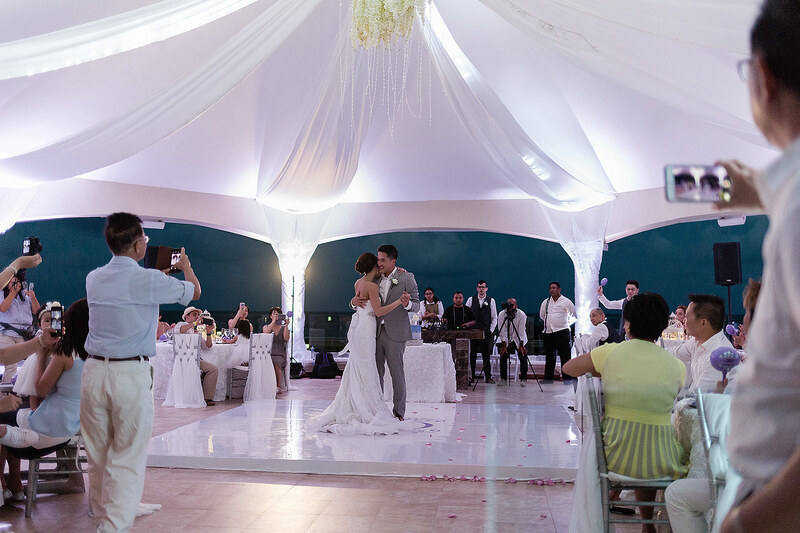 However, Kelly and Oswald wanted to do something a little different and decided on a much smaller wedding with close family and friends. 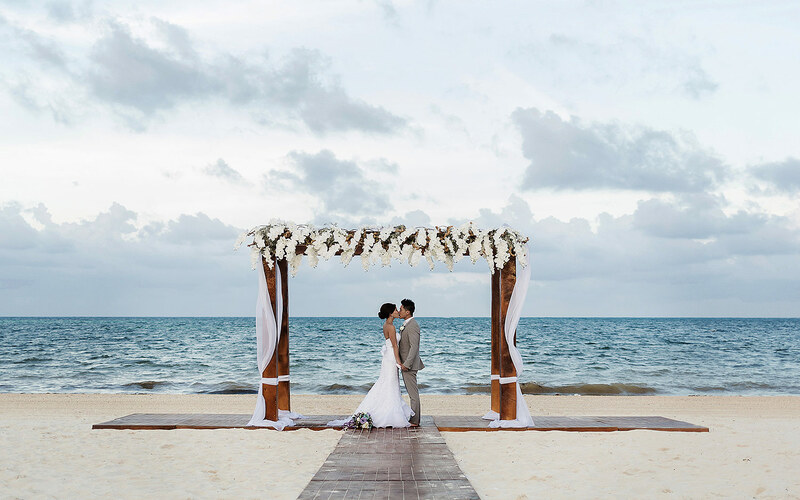 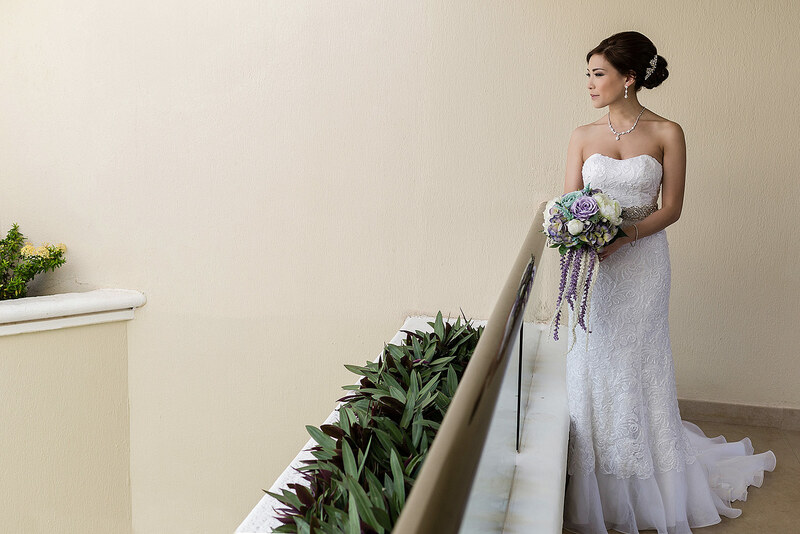 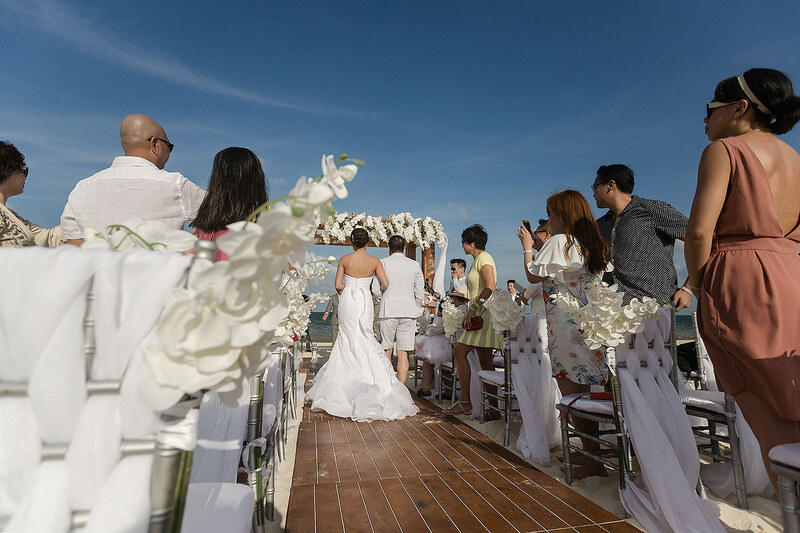 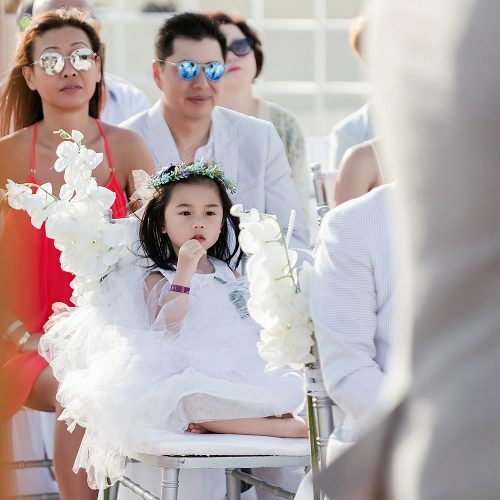 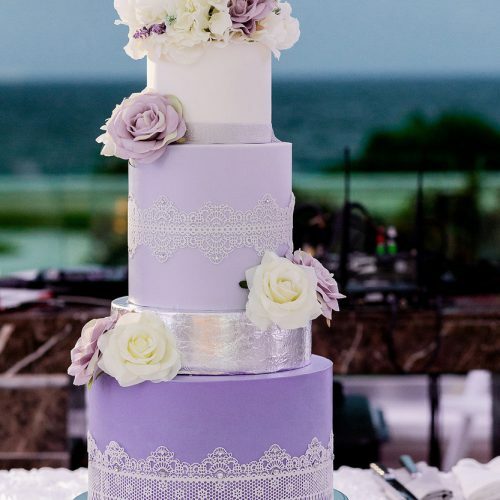 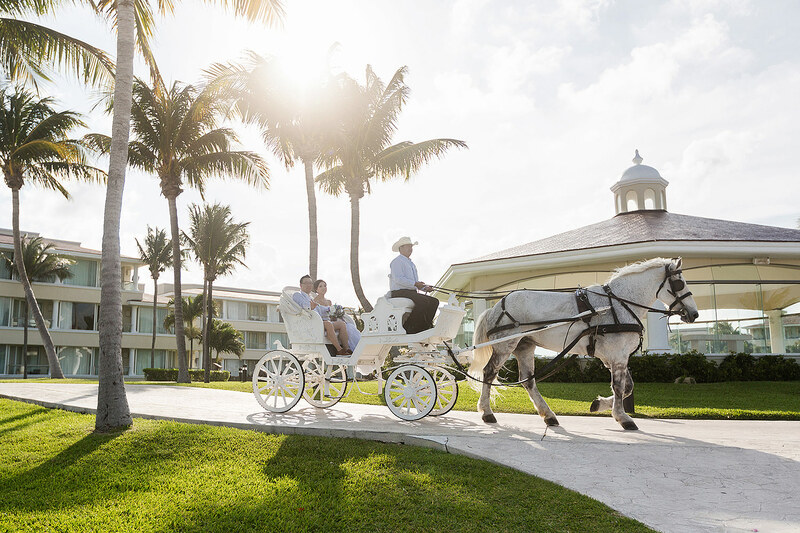 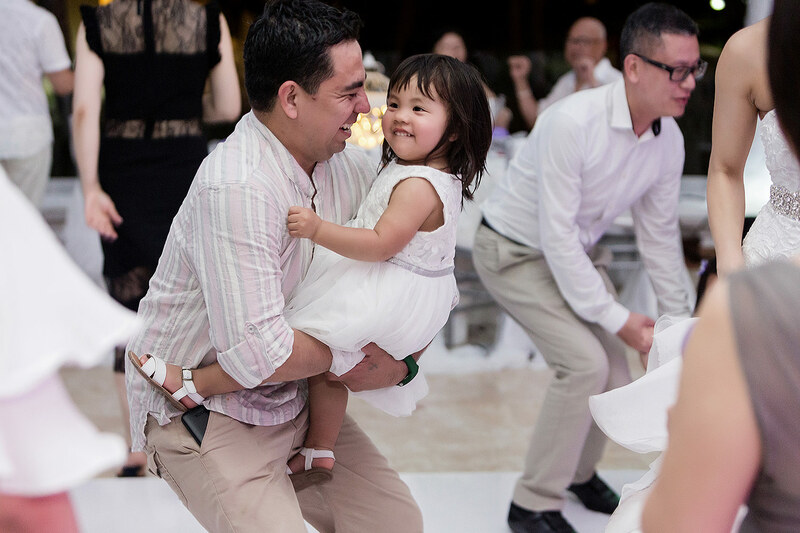 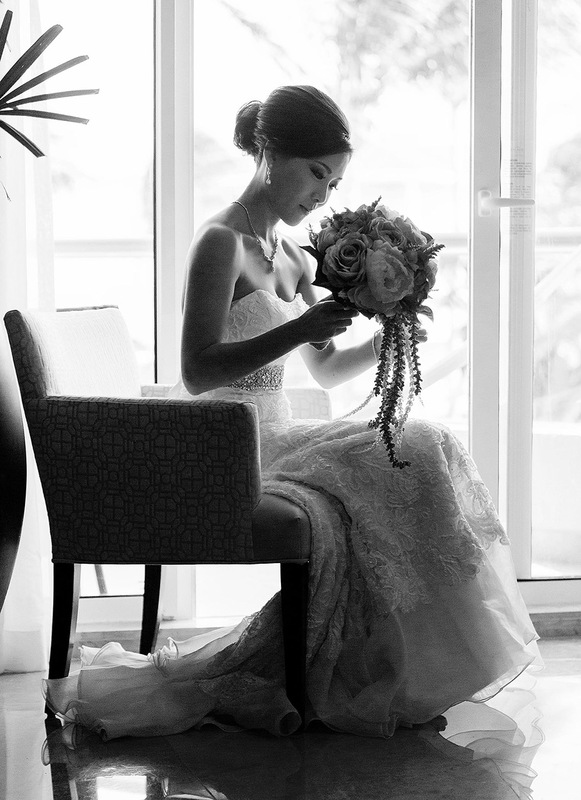 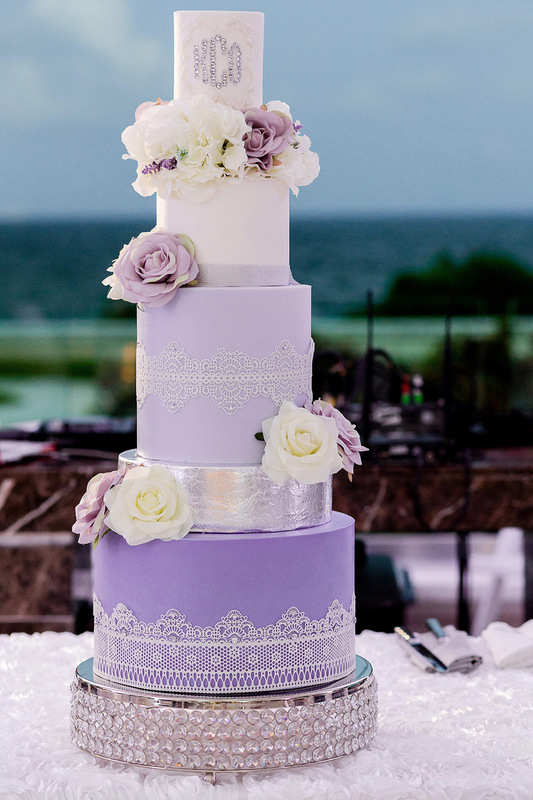 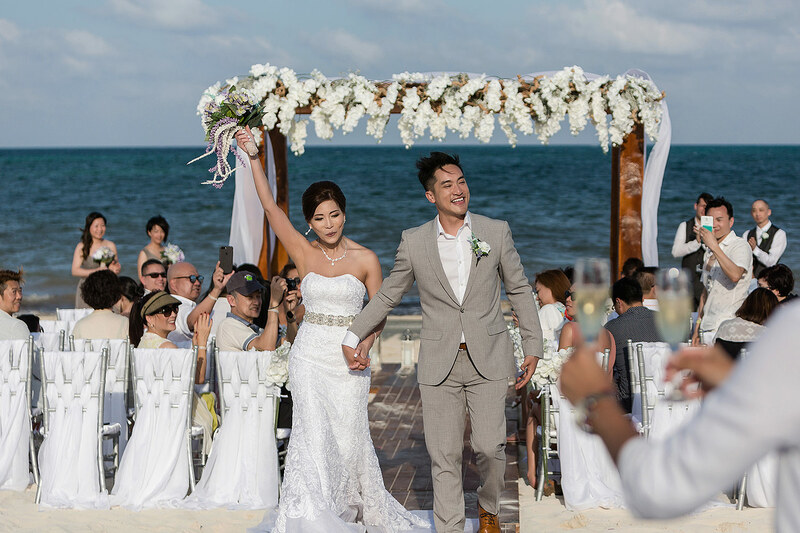 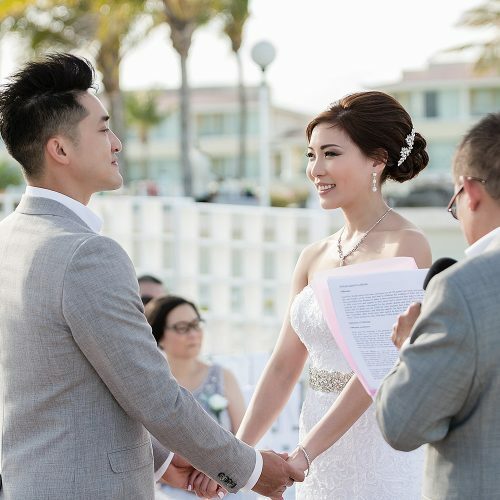 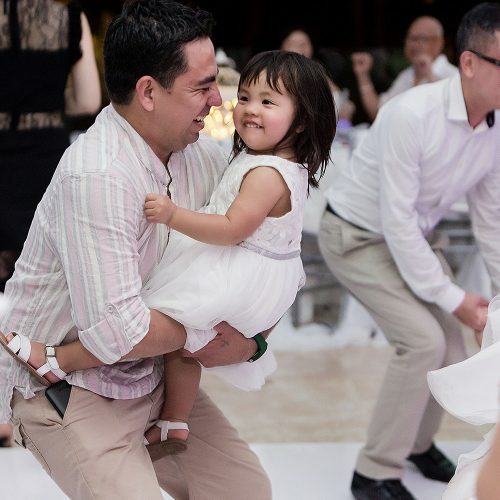 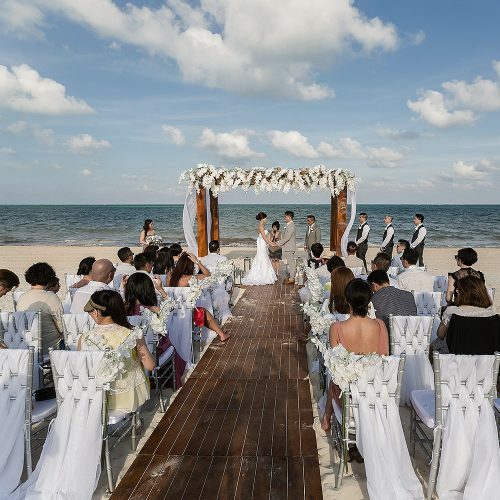 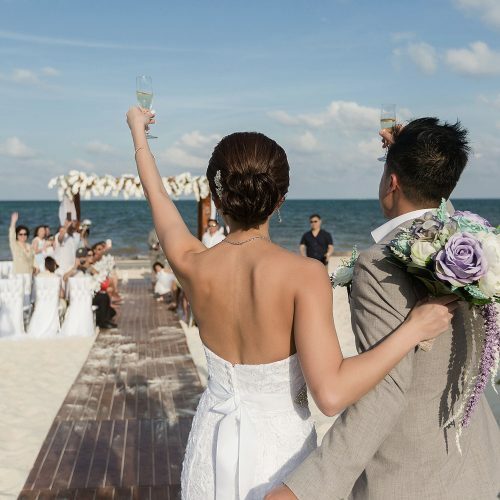 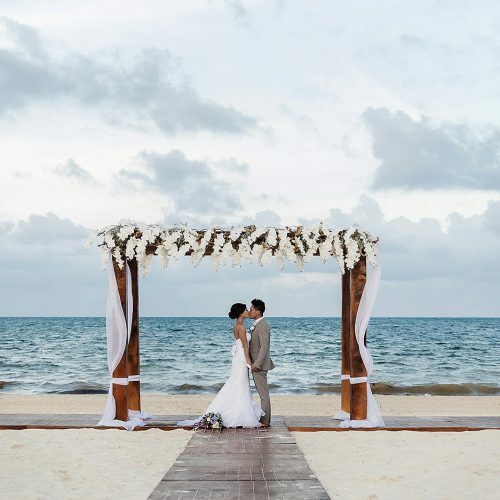 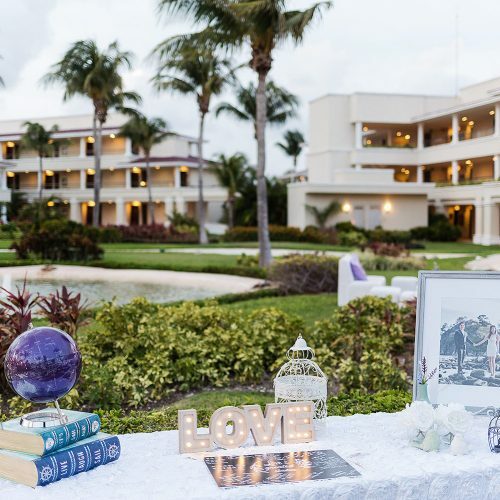 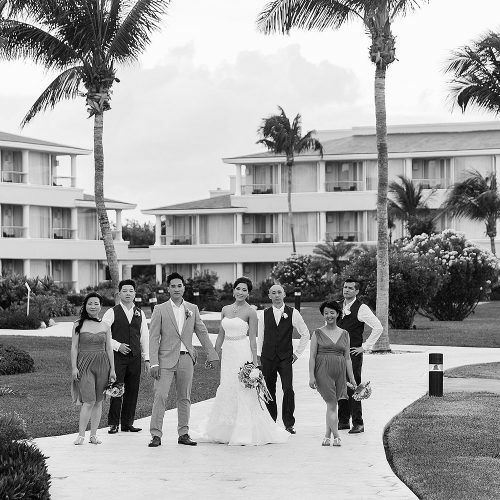 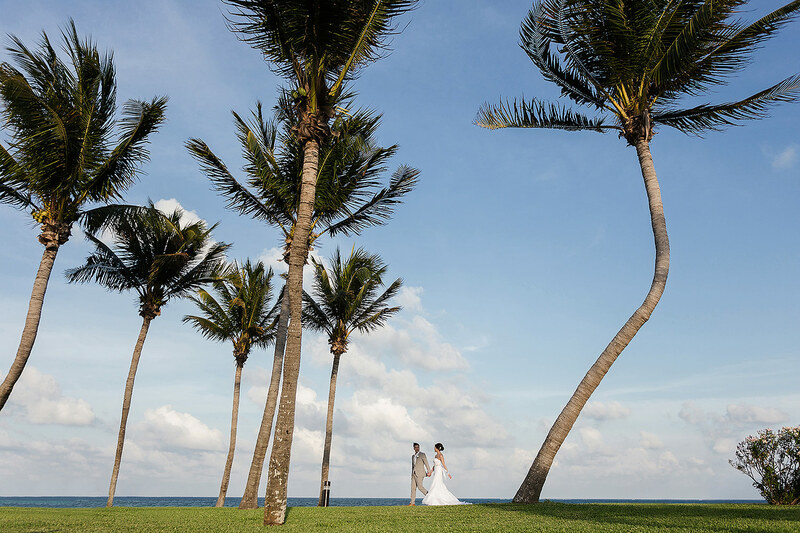 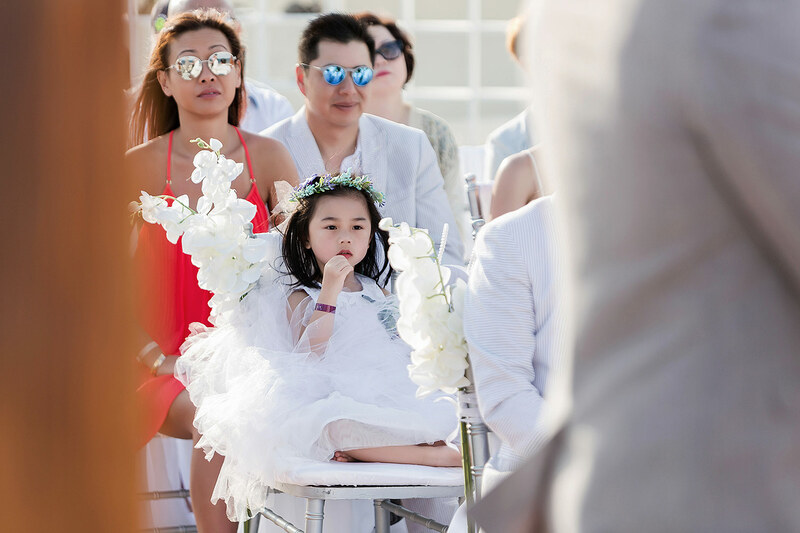 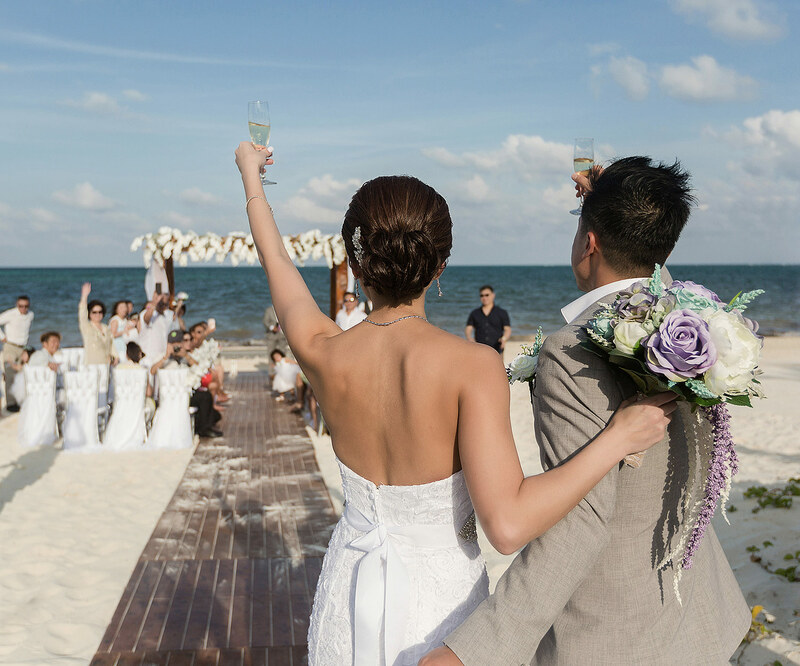 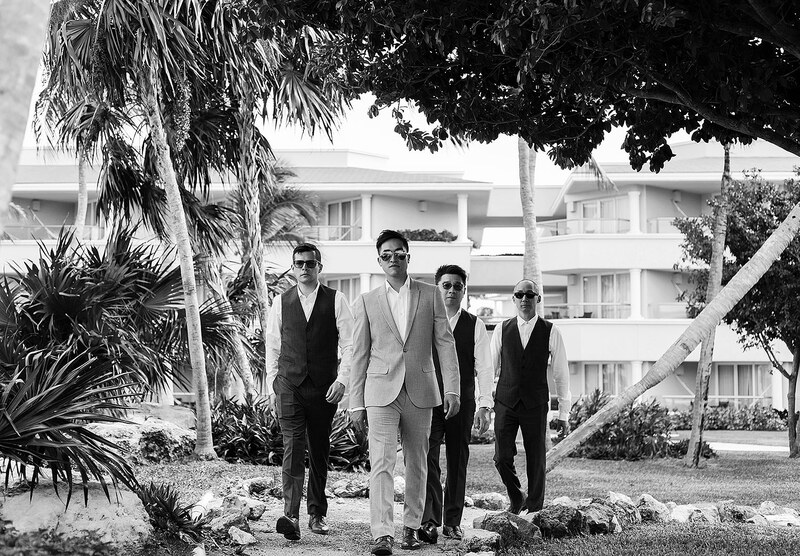 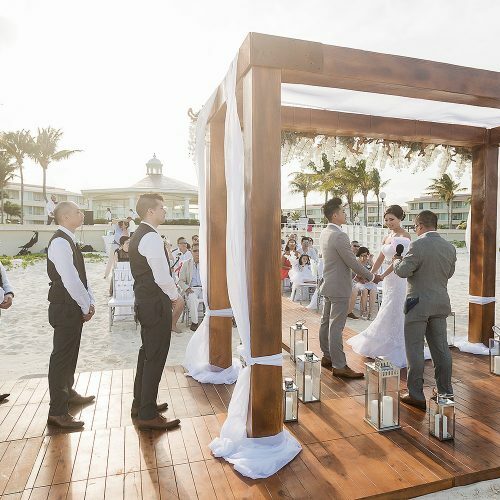 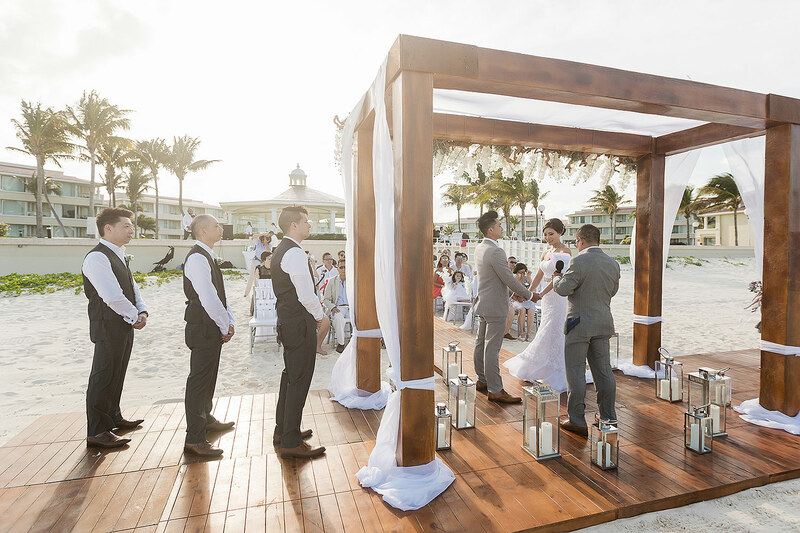 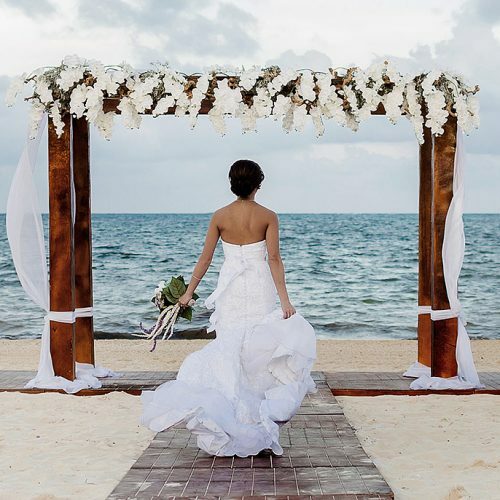 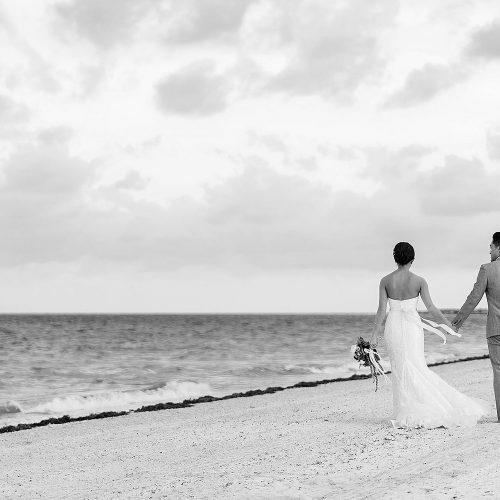 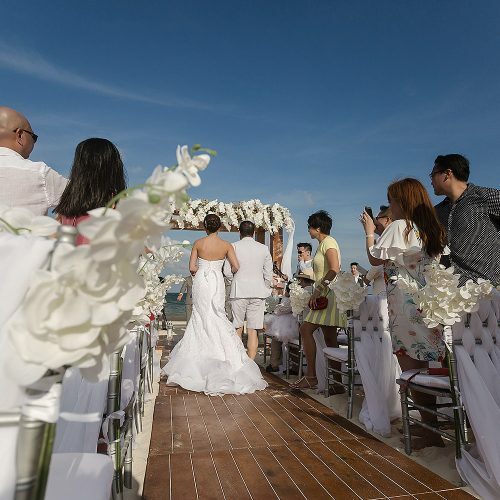 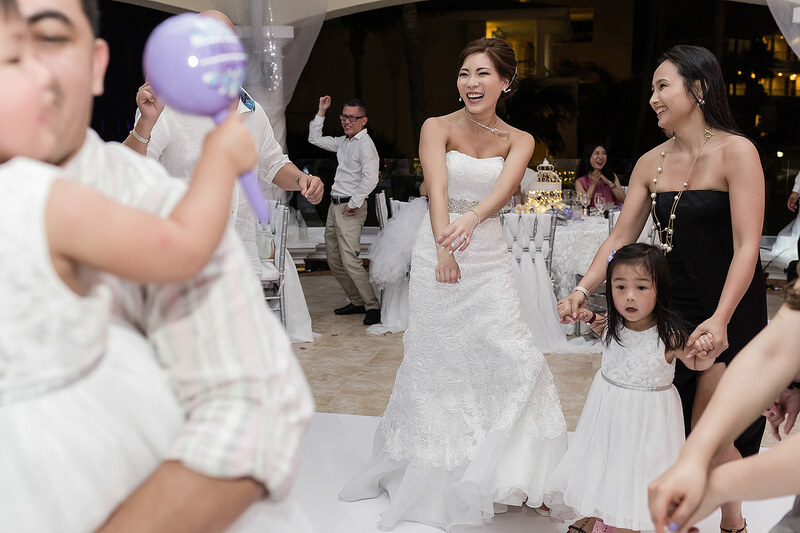 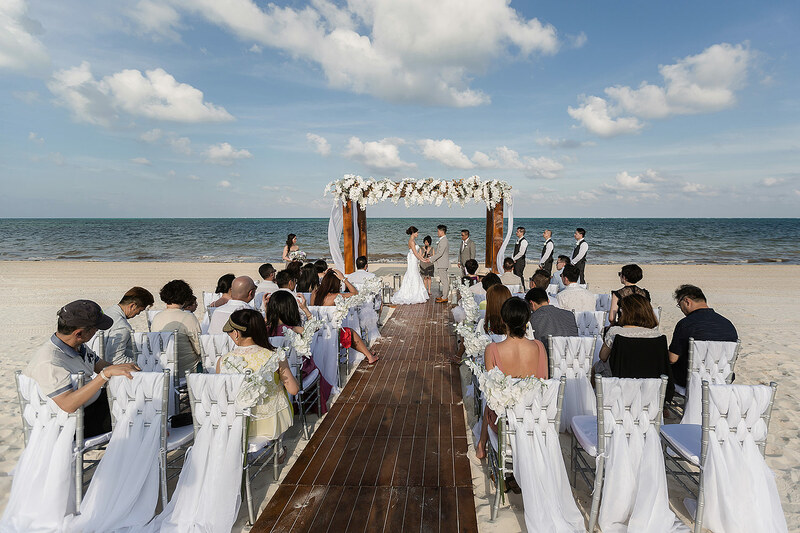 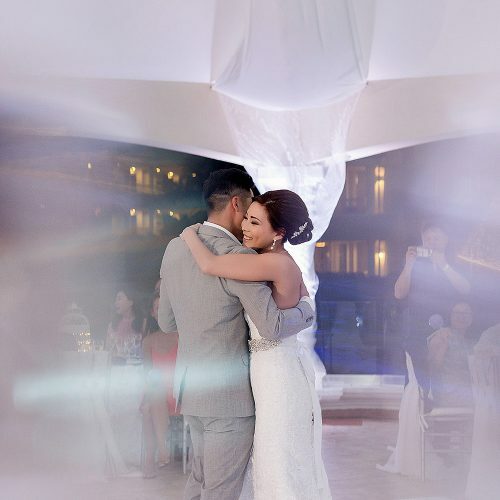 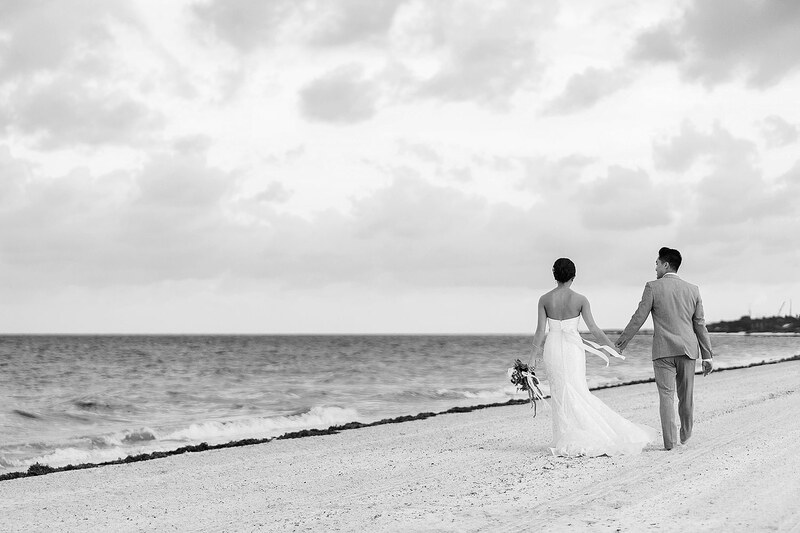 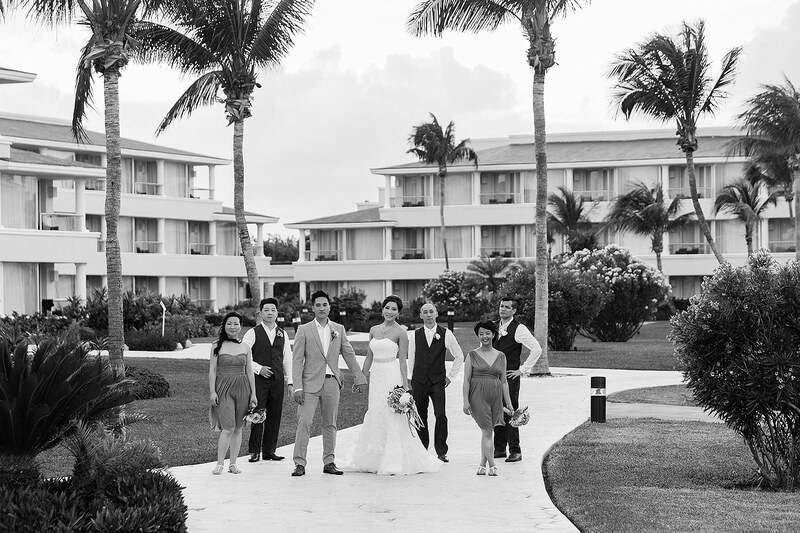 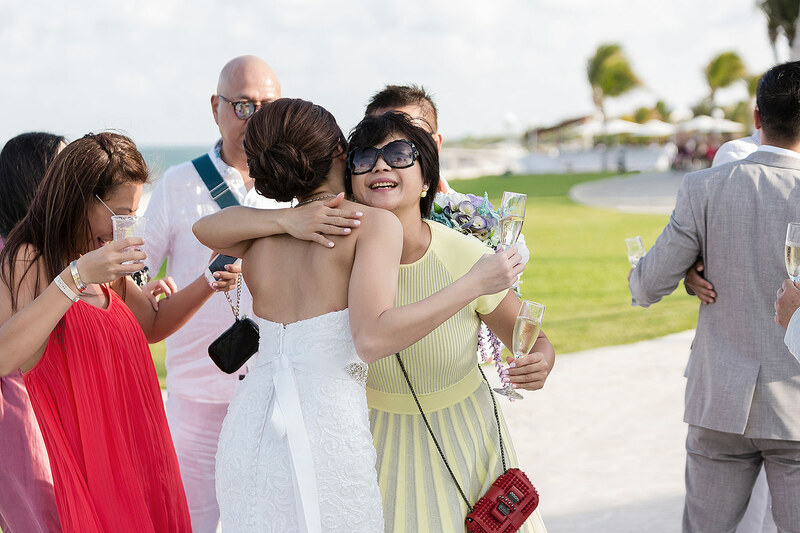 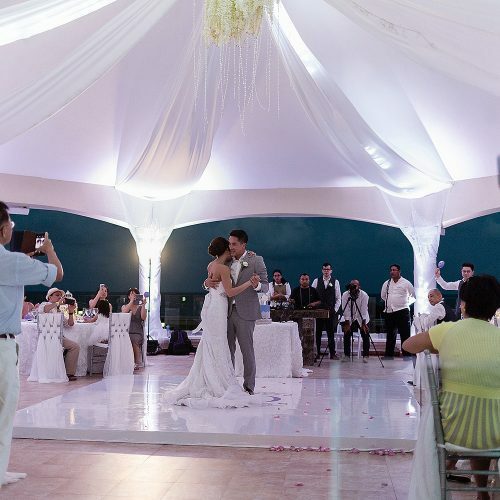 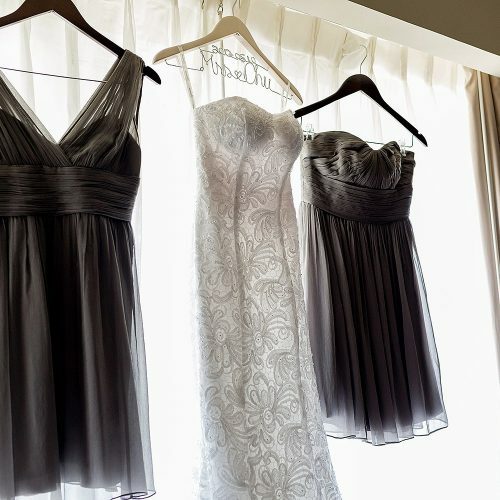 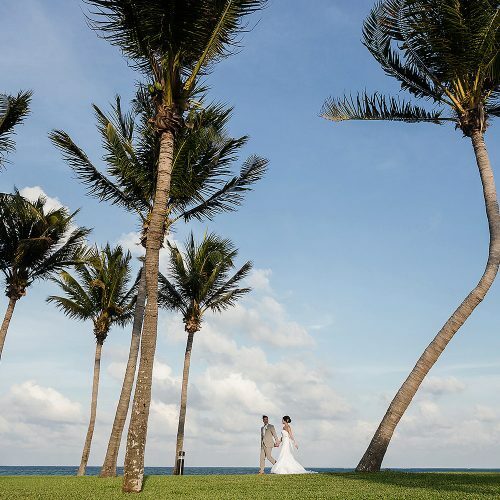 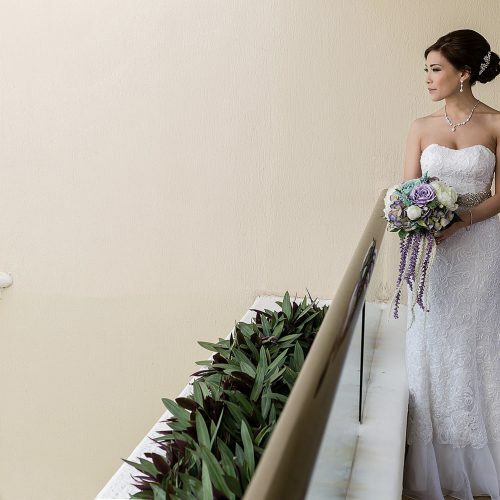 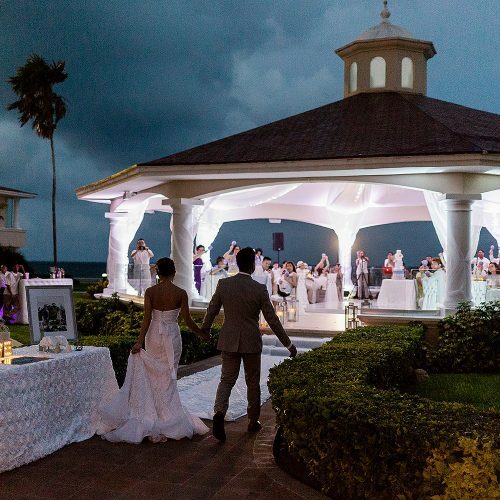 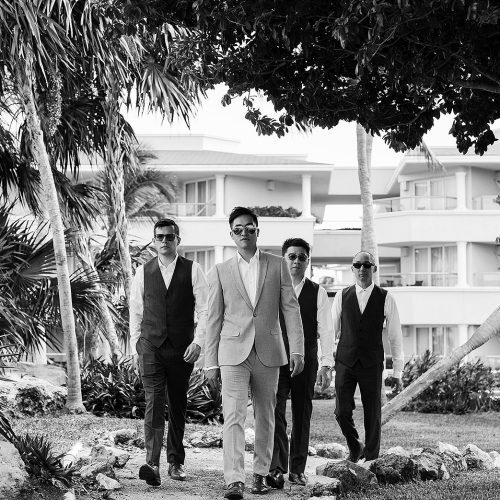 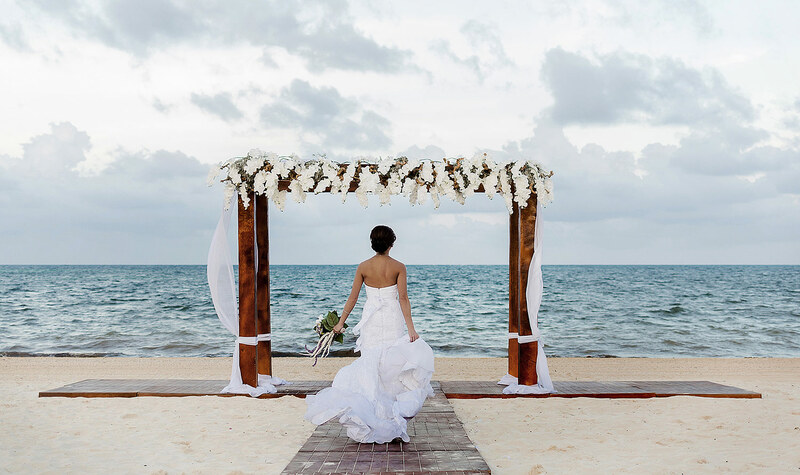 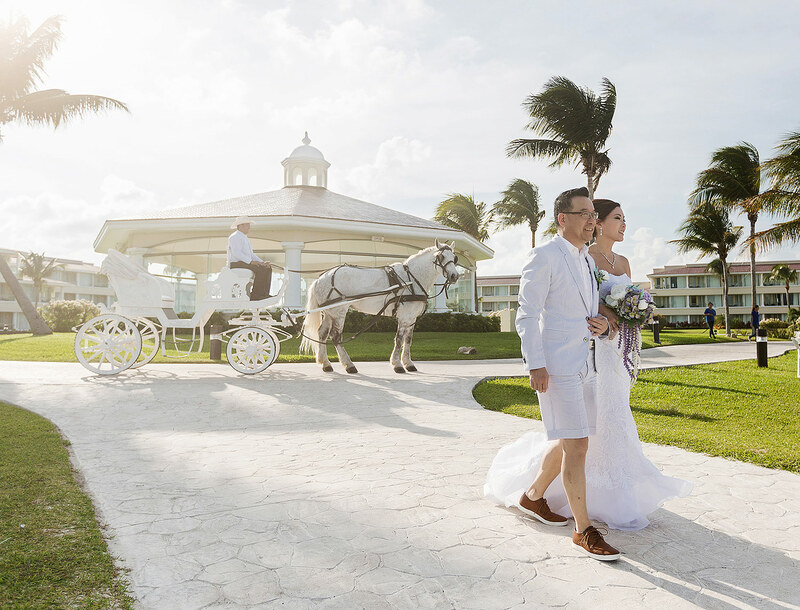 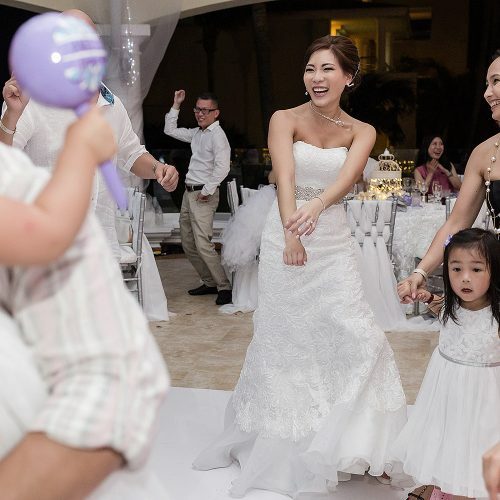 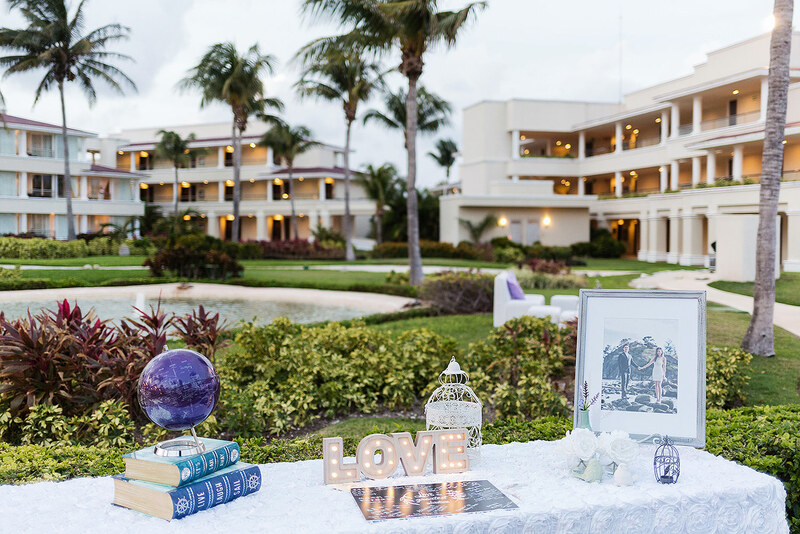 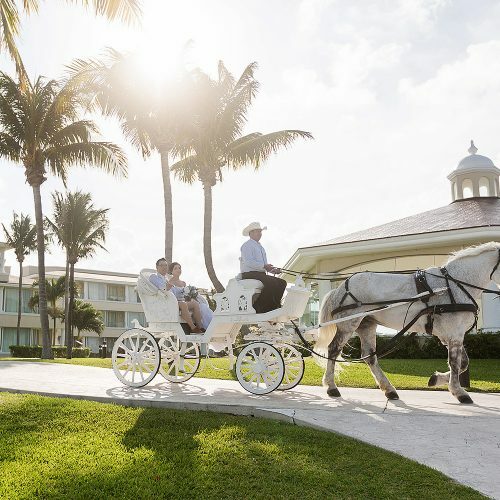 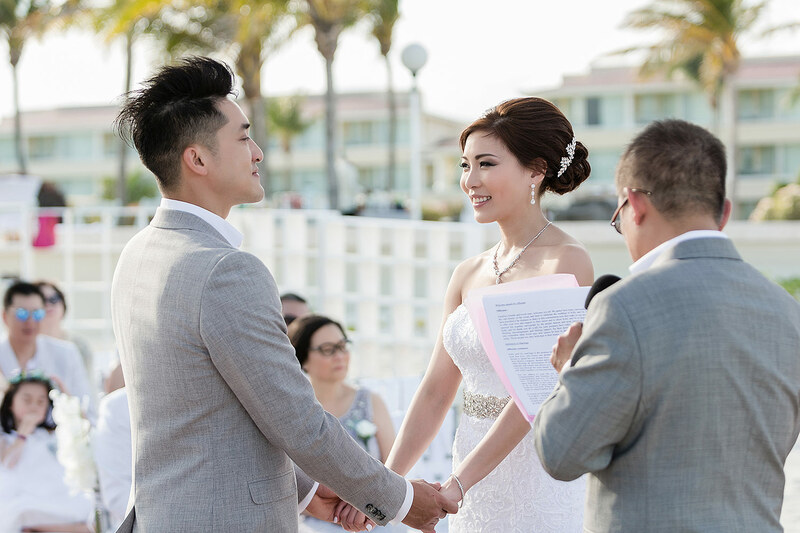 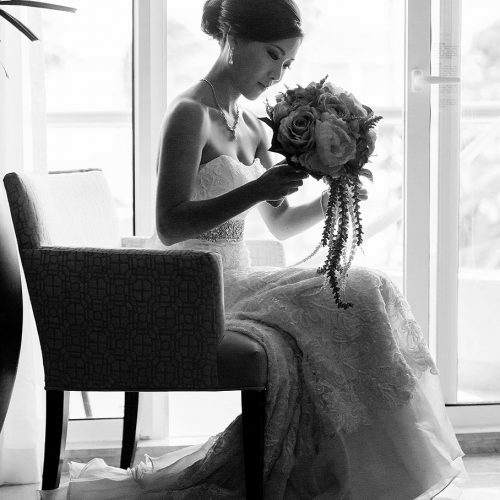 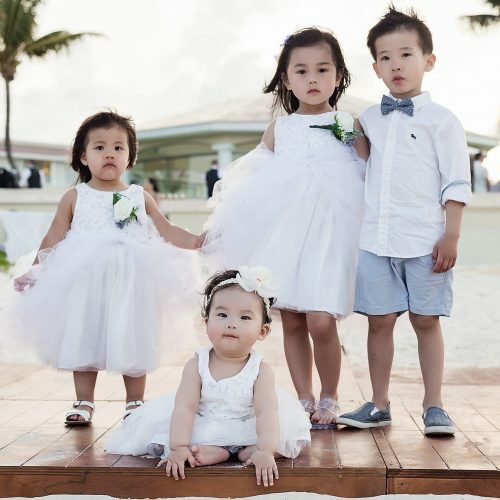 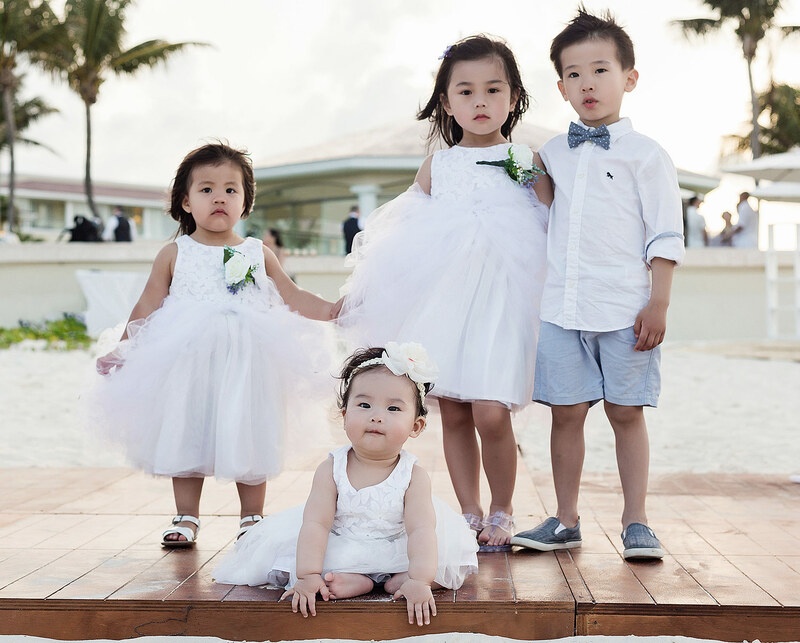 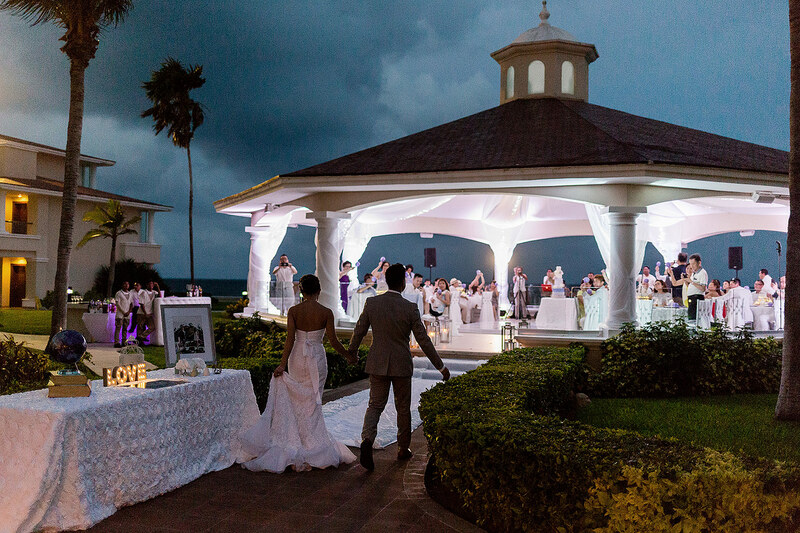 Naturally, they decided to have their wedding in Cancun and the day could not be more perfect. 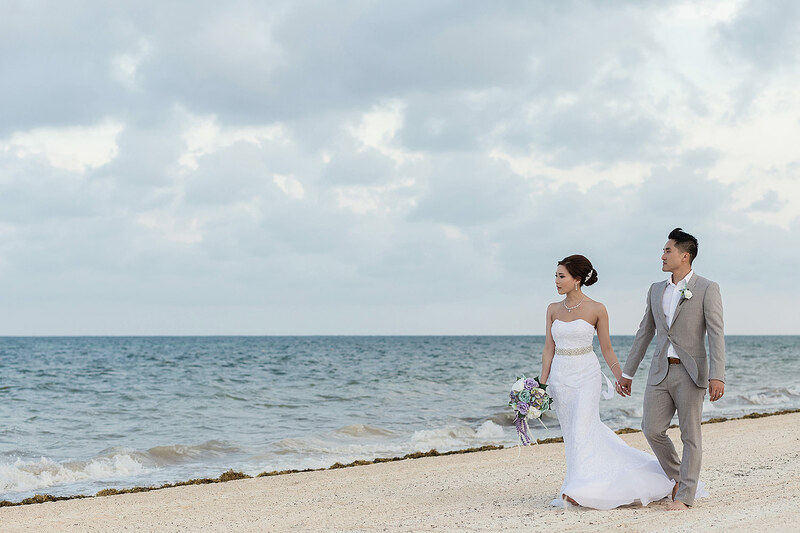 The weather was beautiful. 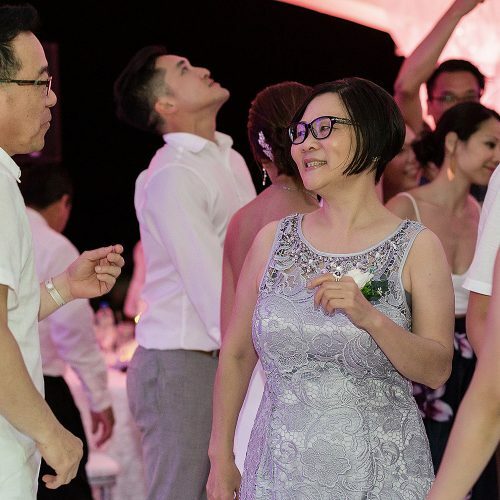 The guests had a great time. 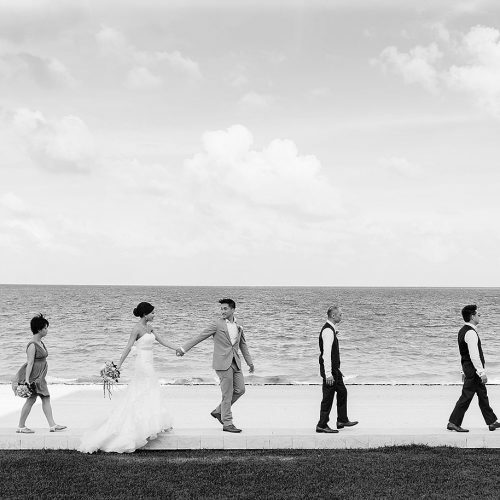 And most importantly, Kelly and Oswald celebrated their wedding with close family and friends on a day they will never forget.